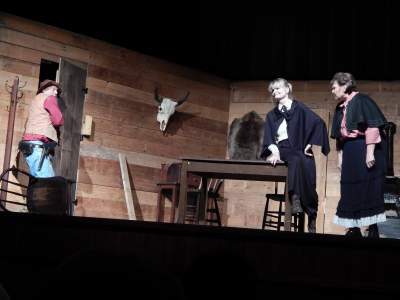 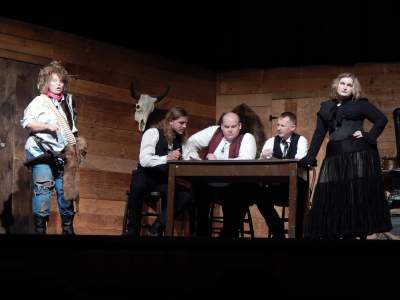 On July 3, 2017 a premier performance of ""West of West Point", a historical melodrama written by John Burkhart expressly for the Sesquicentennial Celebration of Nebraska Statehood was presented in the West Point City Auditorium. 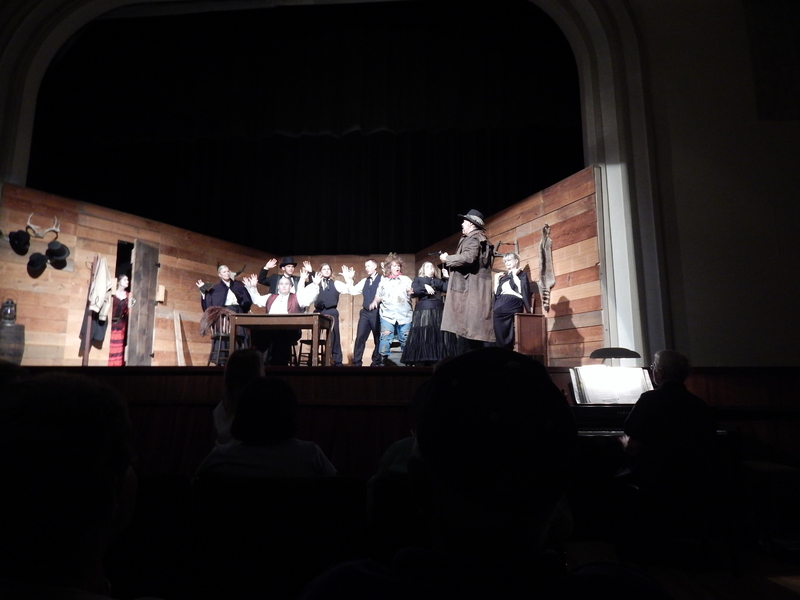 Subsequent performances were given on July 4. Pictured, left to right: Pawnee Bob Jones (Jerry Hugo), Polly Persimmon (Cheryl Knievel), Susie Salvation (Sally O'Neill), Andrew Brunner (Mike Waak), Betty Buzzardbreath (Alyssa Schuetze), Uriah Brunner (Logan Hoyt), John Neligh (Karsten Schuetze), Kitty Neligh (Amber Hugo), John J. Brunner (Nate Morris), Amelia Brunner (Emma Stokely), Bill Smith (Eric Lauritzen). 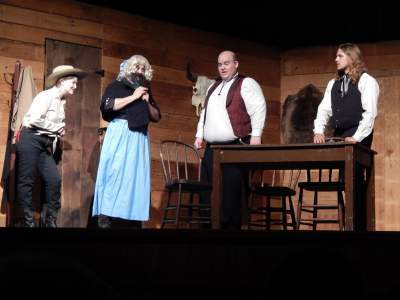 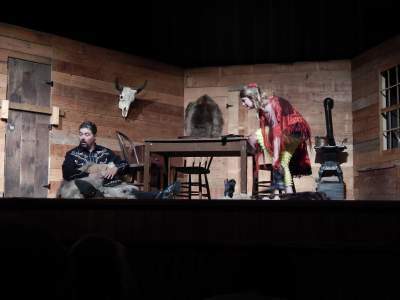 Bill Smith (Eric Lauritzen) and his beautiful accomplice Sally Sidewinder (Grace Cole) are camped in the town cabin. 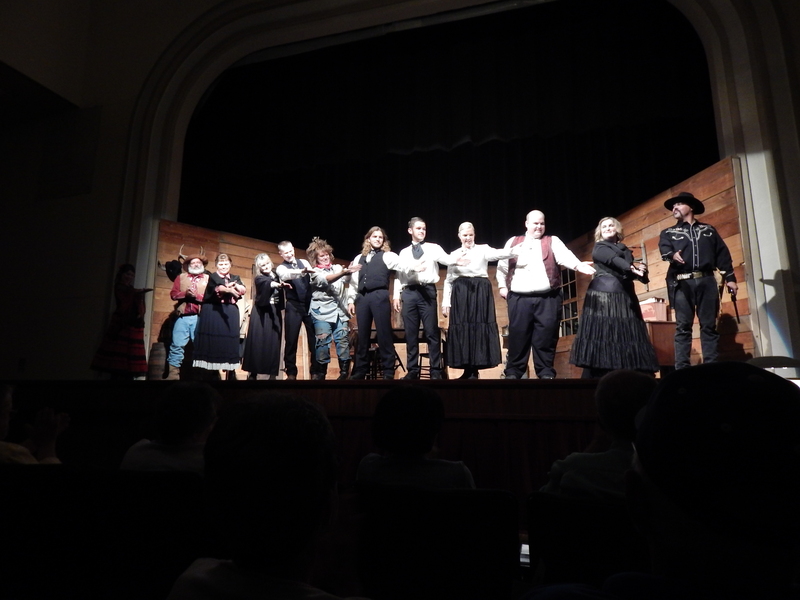 The Cast and Staff of "North of West Point"